The Brookfield Chamber of Commerce offers special events for the entire Brookfield community, like our Annual Meeting and our Annual Gala, the Health Fair, and The Best of Brookfield. Events are coordinated by various committees of Chamber members and are a terrific way for businesses to give back to the community and raise awareness of their services. To learn more about these events and how to participate in their various committees, please see below. The Annual Meeting is a breakfast event held every January, when we officially vote in a new slate of officers and new members of our board of directors. Often, a keynote speaker will be featured. Please consult our events calendar or The Annual Meeting page for information on our next Annual Meeting. The Brookfield Gala is held annually at the Candlewood Inn. Please see the Gala page for past images of this exciting annual event! The Health Fair is an event that features local health care providers and providers of health care information. More information to come. See the Health Fair page for images from events. The Best of Brookfield is an annual trade show held at The Candlewood Inn each October. 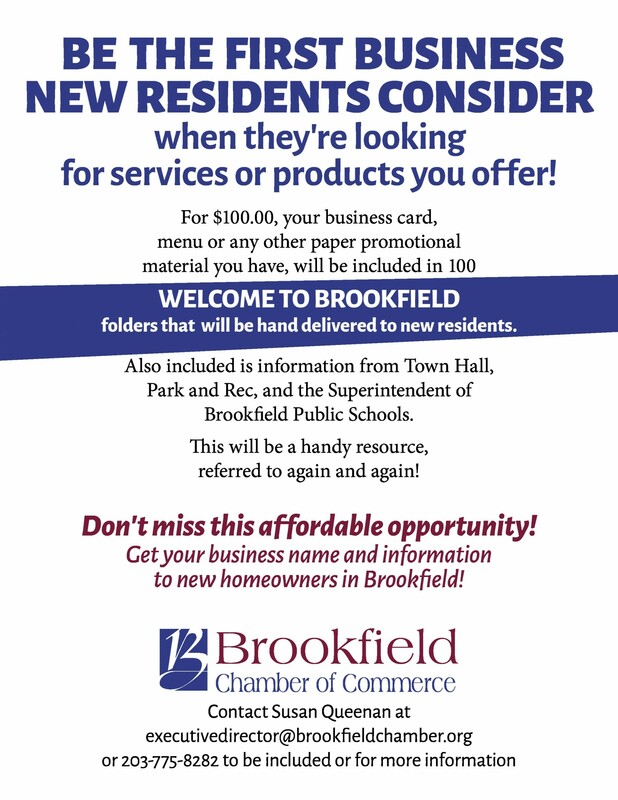 For more information about the Best of Brookfield, please visit The Best of Brookfield page to learn more.